Northend Cycle is a leading provider of used motorcycle parts, used ATV parts and used UTV parts. We buy and sell motorcycles and motorcycle parts to all countries worldwide. If you are looking for a good used motorcycle engine, used motorcycle frame or any other used motorcycle part, you have found the right place. We have an acre of Touring Bikes, Sport Bikes, Cruisers, Dirt Bikes, ATVs, UTVs & Jetskis. From 1970's thru 2015, we have them all. 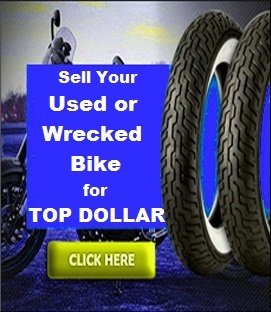 Save money by buying good used motorcycle parts from us. Please fill out our Parts Request Form above and we will search for your parts today.